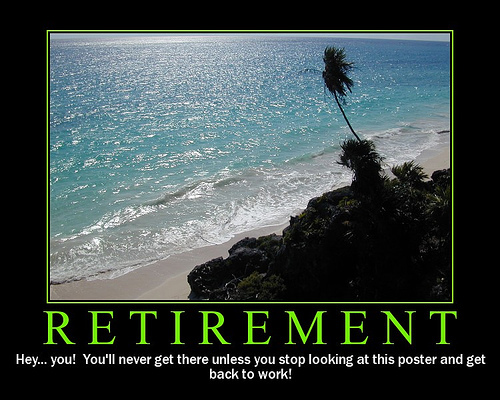 I’m working on a new article on retirement savings and I’d love to have your help. I’ve put together a really short (9 questions) anonymous survey on retirement planning. Please take a moment and share your experiences. Also, I’d love it if you would pass it on. The more data, the better. I had the pleasure of closing out my Cross Country In A Ford adventure in San Diego. I delivered a free workshop entitled, “10 Money Tips for Students” based on my new book 10 Things College Students Need to Know About Money. We laughed, we cried, we …. well… we didn’t cry, but you know what I mean. You can view more of the workshop, see what vendors were there, and hear what participants had to say by visiting the Cross Country In A Ford site. Tuesday, September 7th I was a guest on Impact Radio in Los Angeles. I had a great time with the host, Ciji McBride. Here’s a little behind-the-scenes footage from the broadcast. As much as we want to believe that the way we handle our money is solely based on logic, that’s just not true. What we have experienced leads us to have beliefs about money, and the way we use it, that may or may not be logical at all. Don’t assume that you know how your partner feels. It’s a dirty job, but it’s got to be done. Both of you need to pull up your credit reports and talk about what you owe to whom. Some of us don’t even have a clear idea of how much money we owe in student loans, credit cards, store cards, mortgages, car loans, cell bills, etc. so it’s difficult to let someone else know what kind of situation they are getting into. Pull the reports. Make a plan. As I stated in Money Matters, you can’t just think that each of you will pay 50% of the bills and everything will be okay. Does one of you make more than the other? Does one of you spend more than the other? I’m a firm believer that bills should be paid according to percentage of income instead of 50/50. If one of you makes $1,500 a month, one of you makes $2,500 a month, and the total bills are $2,000 a month then the one making less money will only have $500 of discretionary cash while the other will have $1,500 discretionary cash. Don’t less resentment break up a good thing. All of your bills will, more than likely, have different due dates. Though both of you should be actively involved in paying bills, saving for retirement, creating an emergency fund, etc. one of you needs to be responsible for making sure the bills are paid on time every month. You can choose to rotate on a monthly basis, have each person be responsible for specific bills, or assign one person that overall task, but don’t try to juggle each due date. 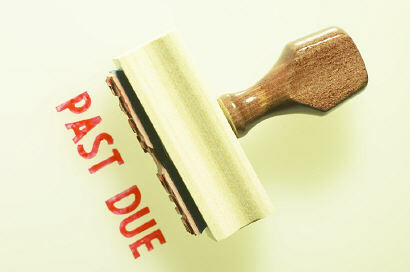 Late payments create extra fines and lower credit scores. The only constant is change. I’m not sure who originally said it, but I say it all the time. If you’re together long enough one of you will lose a job, both of you will lose friends and family members, and there may be kids involved at some point. If you start talking about the “what-if”s now, you’ll be more prepared to deal with them when they occur. Relationships are great, but you also have to be realistic. Money is #1 reason couples break up in America. Don’t let your wonderful partner become your hated ex over a few dollars. I just read that some collection agencies are turning to Facebook to locate debtors. I’m more surprised than anything. Not surprised that creditors would use such a tactic, surprised that #1 they haven’t thought of this earlier and #2 that people would fall for it. Here are some things that creditors can and can’t do based on the Fair Debt Collection Practices Act. Download the whole FDCPA verbage from the government here. Think twice before you add a new friend on Facebook. I know it’s been a while since I posted on Bigger Than Your Block. For those of you that don’t know, I spent my summer driving cross country in a 1994 Ford Aspire to promote financial literacy! I know! Awesome, right? We had a great time and you can read more about my full adventures at Cross Country In A Ford. Blew another tire on the 20W and spun out. Ended up on the other side of the service road and had to have the car towed into Dallas. Read about the whole adventure here. Whew! One last event and I’m done. Well, with the “official” financial literacy tour. I’m glad that I was able to meet so many people and that so many people were able to learn a bit more about personal finance. So many folks followed our adventures that I’ve decided to created a DVD and a book about all our adventures! The project has been accepted on Kickstarter.com to help us raise funds to create the DVD. I’m thrilled so many people are interested in personal finance and my work. If you love my work, realize that I do it all for my community, my folks, mi gente. I’m just a kid from poverty that wants to help others avoid the money mistakes that I have made and that I’ve seen others make over the years.